Because I still had a lot of other lenses I had to review at the time, I wasn't able to review these at once. When I finally decided to review them late last month, I suddenly had a bit of an issue with my eyes. 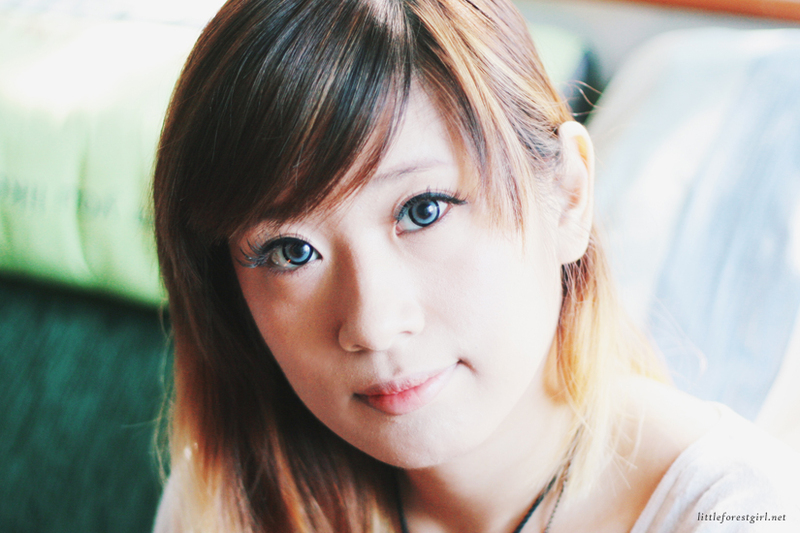 Because I was so scared with all the bad news about a particular circle lens store at that time, I stopped wearing contacts for a while. But the instant that my eyes got better (turns out the new lens fluid that I was using was causing it), I went ahead and did the review for these. As I've mentioned before, I'm very partial to the EOS Candy / Jewel line, because I really like the way that they blend into the eye. The black limbal ring may be a bit too much for most people though, but for me it wasn't much of a problem. I do wish the color was more of a warm grey, so they didn't turn out so blue against my dark brown eyes. Enlarging, but not as much as most lenses. These are 14.5mm, so they're smaller than most lenses that I've gotten used to. Comfortable, but I tend to feel them moving around sometimes. This usually happens after I've been wearing them for a while, but it doesn't happen all the time. I don't know if it's something with the base curve of the lenses or what, but for some reason with these lenses I can't shake off the feeling that I'm wearing them. I think it's just that my eyes prefer GEO lenses over EOS ones? A really nice pair of lenses, especially if you want your eyes to be the main point of your whole look. These are no way natural-looking, and they can catch anyone's attention. I also noticed that they look best with full eye makeup (which is why I'm wearing falsies in both photos). I think these are more suited for cosplay and such, or if you just really want to really stand out. If you want a more natural look, better go with the pink or brown versions.